Sometimes we feel overwhelmed, exhausted or tired for no reason. Sometimes the stress of work or home can take it’s toll on your well being. It’s ok to feel drained sometimes, but eventually you’ll need to pick yourself up. If you’re unable to shake the funk, then you should always consult a doctor, but sometimes you can find therapy in the soil. In the beginning of the 20th century Edward Bach, a medical doctor and one of the first homeopaths, discovered some flower remedies that he believed could help cure the blues. Here’s a list of some of Bach’s Flower remedies for depression. Rose petals can you feel refreshed, relaxed and invigorated. Rose water is said to be a very potent ritual water and is very easy to make. All you have to do is place your rose petals in a container with water and leave said container out in the sunlight. You can use the flowers from older bouquets or arrangements. This plant is often used for people who are experiencing sadness directly correlated to an event such as, death in the family, loss of employment, breakups etc. This plant is known to help with feelings of pessimism and discouragement. Bach believed that if you were sad or depressed and couldn’t put your finger on the exact reason why then the mustard plant would help lift your spirits. If you’re feeling overwhelmed or anxious then the Elm plant would be the plant to surround yourself with. This plant is great for those who are stressed, overworked and overwhelmed with their daily struggles. Feeling lost or hopeless? The sweet chestnut plant will help put you in a better mind space to deal with those emotions. If you need help letting go of a past occurrence and have a tendency to be bitter, unhappy or you often feel inadequate, then the Honey Suckle Plant is the one you need. 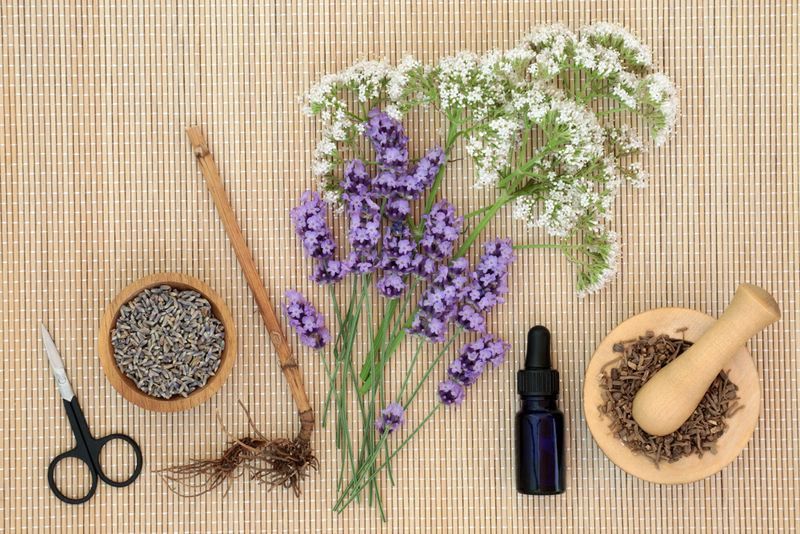 While the Bach Flower Remedies require many of these plant to be given in an oil form, we find that Flower Bouquets and arrangements tend to lift our spirits and those of our loved ones. Imagine your office desk or your night stand. Now imagine your office desk and night stand with a beautiful bouquet of flowers sitting pretty. The thought alone is calming. With so many flower variations to choose from, we’re sure that we offer an arrangement that will bring some peace and beauty into your life.